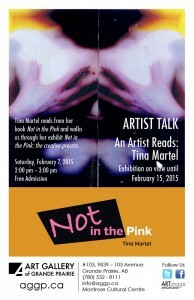 Please join me at the Art Gallery of Grande Prairie, February 7, 2:00-3:00pm for an artist talk and walk through my exhibition Not in the Pink: the Creative Process. This entry was posted in Exhibition on January 22, 2015 by Tina Martel. I am very happy to announce that the exhibition Not in the Pink: the creative process has been extended another month by the Art Gallery of Grande Prairie. The new closing date is February 15, 2015. The book remains for sale at the gallery or on the website. This entry was posted in Exhibition on January 10, 2015 by Tina Martel. Not in the Pink opened to an enthusiastic crowd of approximately 300 people on Wednesday, November 26th. I was thrilled and excited to see the support from friends, colleagues and perfect strangers. 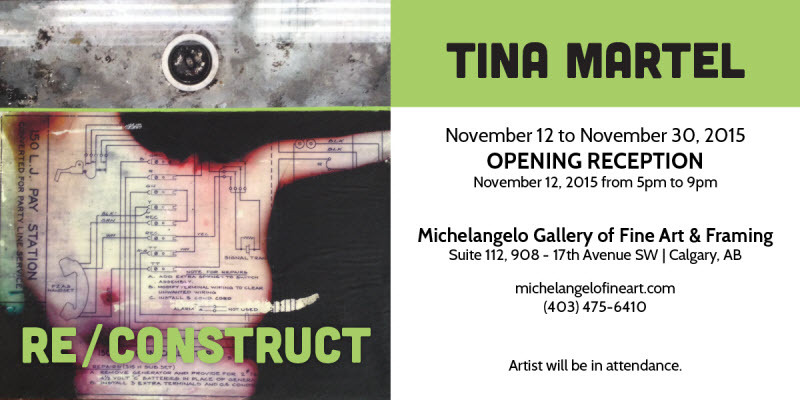 The exhibition runs at the Art Gallery of Grande Prairie until mid January. Please stop by if you haven’t seen it. The book is currently available at the AGGP or from me through the website. I would be grateful for any feedback that I could post on the website. Please feel free to contact me or reply to this blog. Thank you one and all for your faith in me. 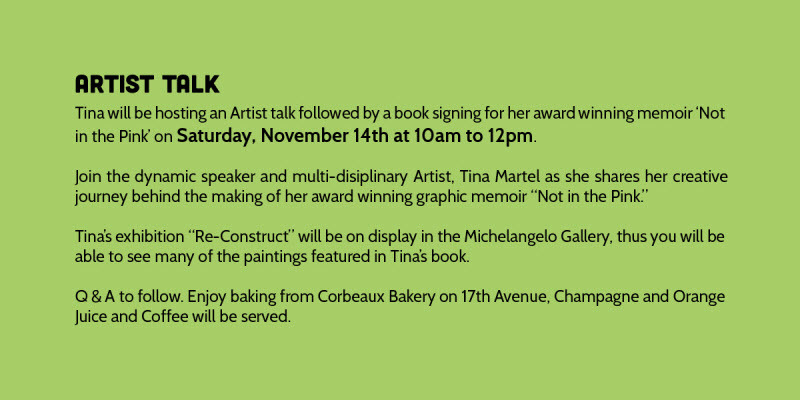 This entry was posted in Exhibition on December 9, 2014 by Tina Martel.